The Southern Tier Kidney Association donated a teaching table to the UPMC Chautauqua WCA Diabetes Education Center in memory of George Pavlock. George passed away May 15, 2017, at the young age of 55. George was a type one diabetic since the age of 18. He was always the type of person who was upbeat and positive, no matter what he was going through, and he always found time for family and friends. George was a mentor to those who was going through dialysis and who went through a kidney transplant. He offered his knowledge and experience, being he understood how his diabetes had led to many of his health issues and was quick to lend encouragement and guidance to others trying to control their blood sugar. George was a recipient of a kidney transplant, and was heavily involved with the Southern Tier Kidney Association (STKA) with being on the committee to support the annual kidney walk, picnics and holiday activities they held to raise money and awareness. 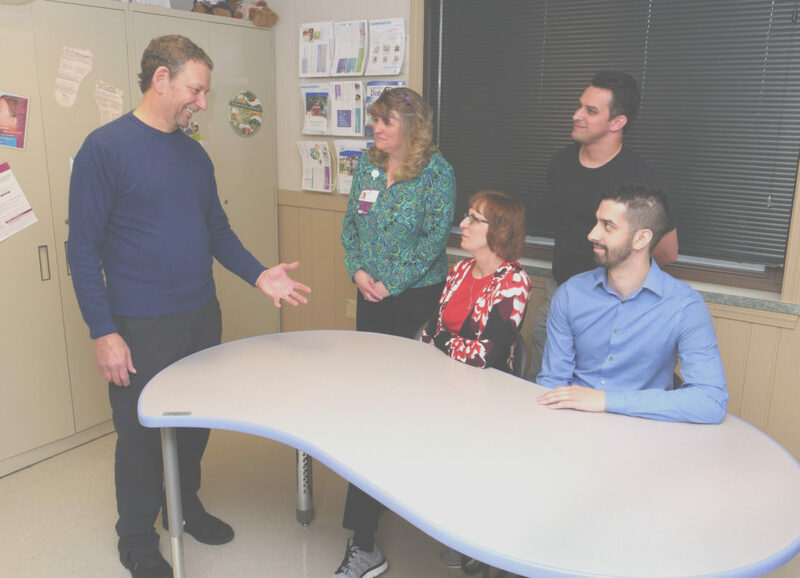 STKA wanted to do something special in George’s memory, and they thought a teaching table at WCA Diabetic Education Center would be the perfect fit. “The table provides a great teaching space. I think George would be happy that the story of the donation often leads into a discussion of the importance of blood sugar control on kidney health. 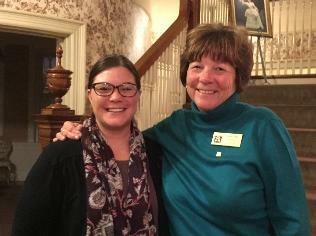 We are very thankful to the STKA and the Pavlock family for thinking of us,” said Kerry Milhalko, WCA CDE Diabetic Education. The mission of the Southern Tier Kidney Association is to provide information and support to the kidney patients of the Southern Tier and surrounding area. STKA accomplishes this in collaboration with the UPMC Chautauqua WCA staff by providing social opportunities and information sessions for patients and their immediate families, and by making ongoing improvements to the facilities of the dialysis unit. STKA’s 9th Annual Kidney Walk is scheduled for July 8. If you are interested in participating in the walk, would like to contribute to the cause, or if you would like to find out more information on STKA, please contact Mitch Stone at mcsmstone@yahoo.com or visit southerntierkidneyassoc.org.